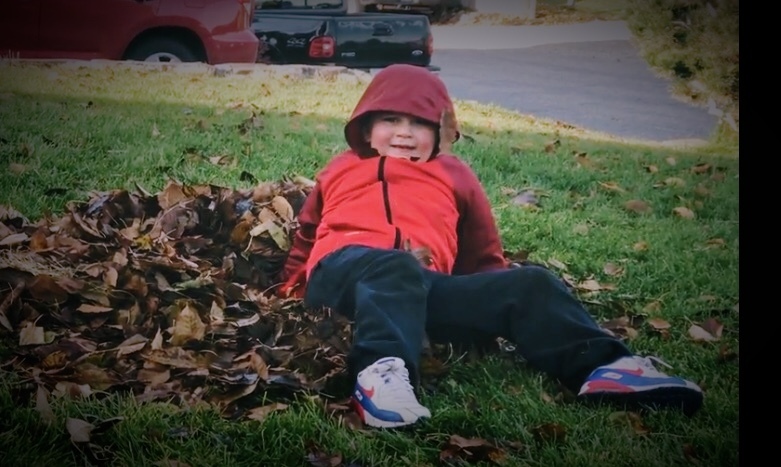 Carson was entertaining me while we burned our leaf pile. He kept doing this being silly and singing some song he learned at school. Casey and I kept laughing because he would sit up and have a leaf stuck to his face and he would ask if there was something wrong, was something on his face.